Meet Bryan, one of our Google CS First Storytelling Club volunteers. Bryan is a software developer in Houston who brought excitement and enthusiasm to the kids’ coding lessons. Today, he will share his own story about how much sparkle it can trigger when technology meets creativity and hands-on experience. Bryan, a volunteer and software developer at Code Park, holding his creation of a light up paper circuit card based on the idea of “What Lights You Up?” card at Finnigan Park Community Center. Courtesy of Wanjun Zhang, July 7th, 2018. Prior to my involvement with Code Park, I met Amanda, and I learned about the organization she worked for called OpenStax—which now has made a huge nationwide impact by providing free, high quality textbooks. It sounded interesting. When she told me about an opportunity to personally inspire and teach kids about tech, I immediately wanted to be a part of it. I firmly believe that there is something about working with tech that cannot be learned via traditional way of teaching, instead it must be experienced hands-on. 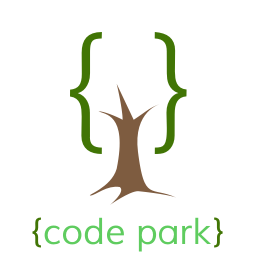 At Code Park we provide the opportunity to combine tech with art and hands-on experience, through just a short lesson. On top of that, we always have fun. I got into coding partly because of my insatiable curiosity to know how things work, also partly because in school I was given the opportunity to create a website to demonstrate something important to me: technology. From that point on, I kept researching more and more about what it takes to create a software, whether a web application or an iPhone app. Learning, creating, and then receiving positive feedback made me addicted to programming. In other words, I became passionate about software development in that way. I have been researching about and experimenting with alternative forms of education such as online certificate programs, coding bootcamps, etc, as part of a project that I would like to eventually turn into a startup or nonprofit. Along with it, I would like to develop a web application to resemble the offline experience and to reach out to more people. It’s definitely so far been quite a journey—with some bumpy roads, not clearly visible paths, and sharp turns. Regardless, I keep moving forward with a grand destination in mind. I think that my favorite classroom experience is when I taught children (under the age of 12) at Code Park for the first time. Every time they answered each question or worked on their projects, I see the excitement, joy, and high energy in them. It is something that truly warms my heart whenever I think of it. In fact, it’s not just my favorite classroom experience, but one of my best life experiences as well. I imagine that it’s what every teacher strives to achieve with every single class, and at least I know that it makes me happy to have that memory as an instrument to envision every class that I have the opportunity to teach. Bryan’s focus, grit and insatiable curiosity inspired not only the kids in the classroom but also our Code Park team. With the ability to make authentic connection with our students, Bryan helped our students build up the confidence in the world of STEM and technology. We are excited to see Bryan in our classrooms in future.